In short, the internet has made it much easier to conduct the day-to-day business of being in a band and has increased the efficiency. Everything from scheduling rehearsals using online calendars, to booking tours by email, to selling merchandise and records from online stores, down to raising the funds to make a record is a new simplicity that bands of the pre-internet era would salivate over. The old system was built by the industry to serve the players inside the industry. The new system where music is shared informally and the bands have a direct relationship to the fans was built by the bands and the fans in the manner of the old underground. It skips all the intermediary steps. The internet has facilitated the most direct and efficient, compact relationship ever between band and audience. And I do not mourn the loss of the offices of inefficiencies that died in the process. I suppose some people are out of work. But the same things happened when the automobile replaced the horse, and all the blacksmiths had to adapt, spending their time making garden gates rather than horseshoes. When I read over these notes on the plane today I felt like I spent too much time enumerating complaints, and I don’t want to conclude without reiterating how terrific the current music environment is. I see more bands and I hear more music than ever before in my life. There are more gigs, more songs available than ever before, bands are being treated with more respect, and are more in control of their careers and destinies. I see them continuing as a constellation of enterprises: some big, some small – most small but all of them with a more immediate response from their audience and a greater chance to succeed. It is genuinely exciting. Personally, I didn’t see a lot of live music when I was in my teens or twenties. Buying music was a big deal. (I used to have a rule: I would only buy an album if I liked at least three songs on it.) Going to a concert was a big deal. It’s only in the last few years that I started going to concerts regularly. Seeing bands I like live at small venues is just about my favourite thing ever now. I saw Interstellar at the weekend, though not in IMAX, as it is apparently meant to be seen. I found it 30% amazing, 60% good, and 10% ignoring science and common sense for the sake of the story. The 30% makes it very much worth seeing. 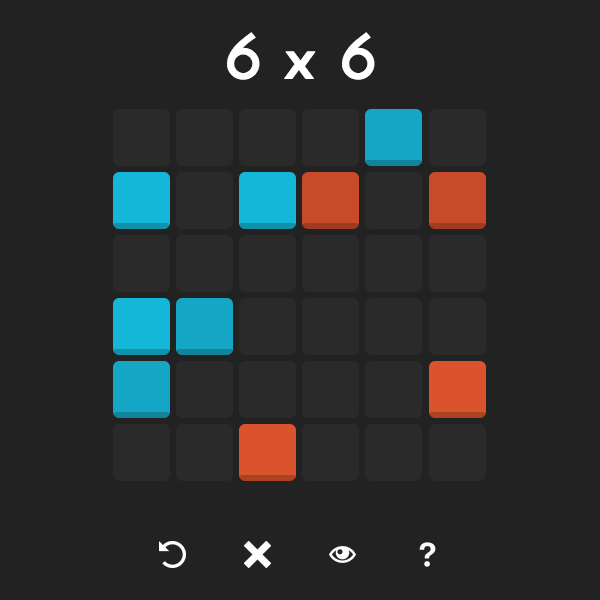 The 10% makes for some forehead-smacking moments in amongst the jaw-dropping spectacle. Page Eight, on the other hand, is nothing but delight from start to finish. I hadn’t heard of it before I saw an article in The Atlantic a couple of weeks ago. It’s a quiet, measured British spy story. 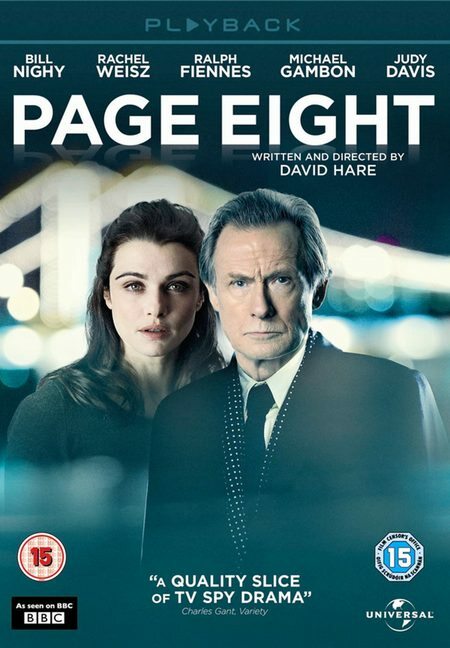 No flashy running around and jumping off buildings, just Bill Nighy as MI5 intelligence analyst Johnny Worricker cautiously trying to figure out a conspiracy that could bring down the government. 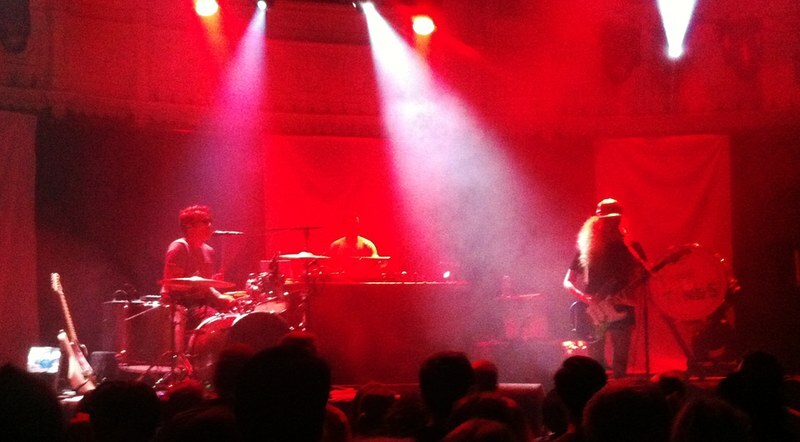 Listening: Cut_, after seeing them at Paradiso on Sunday. Also just finished re-reading Storm Front, the first Harry Dresden book by Jim Butcher, after Mark reminded me of it. I’ve got Ben Aaronovitch’s new Rivers of London book, Foxglove Summer next on my reading list, but I think I’ve got a taste for the Dresden Files now, and I’ll be diving back into the series after it. Mark was in Amsterdam over the weekend for a conference and workshop. On Sunday evening I met up with him in town for dinner and a gig at Paradiso. We got there at about 20:45, stashed our coats, and checked out the merch. 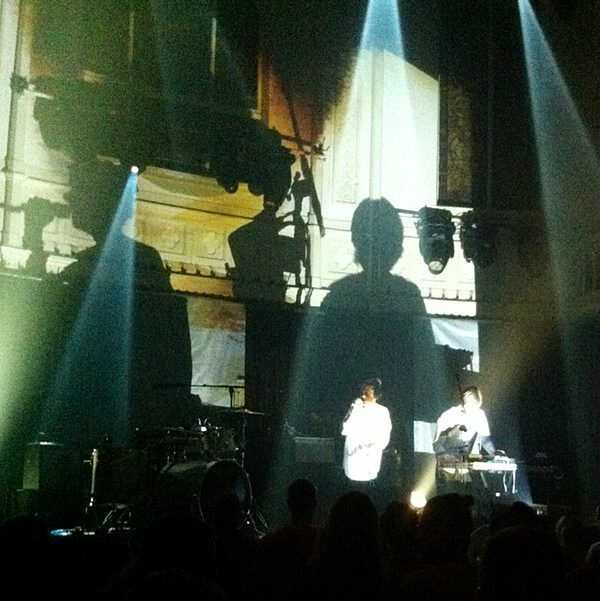 The support act was Dutch electronic/vocal duo Cut_. They were already well into their act when we opened the door and walked into the wall of bone-shaking bass. 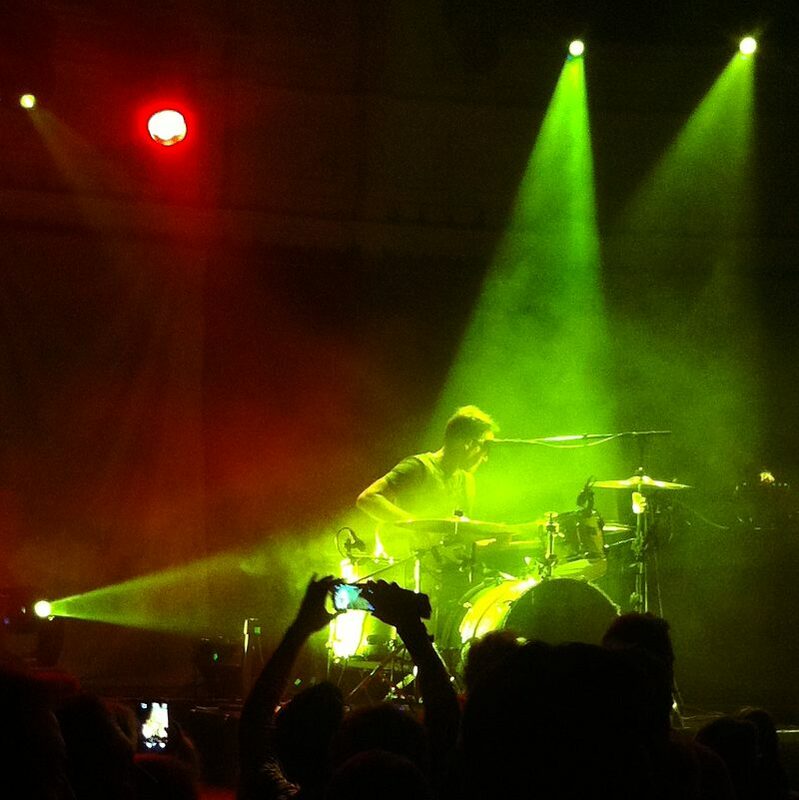 They put on a terrific show with infectious beats and very cool lighting effects that used projectors and shadows to make the most of the tall wall behind the Paradiso stage. I’ve listened to their debut EP Patterns since then. It’s impressive, but their live act was even better. I’d definitely go back to see them as a headline act. Now, I’m a huge fan of the drums, and I loved the grooves Jules was laying down — using quite different arrangements from the album versions — but towards the end they overpowered the mix. Jules’s gestures in the direction of the sound desk, and occasional hollers of “down” gave me the impression they were not entirely happy with the levels. Katie’s guitar was fine, but throughout “That’s Not My Name”, which came at the end of a relatively short set, her vocals were drowned out by the thumping bass drum. On stage they were energetic but shy. Jules seemed to take refuge behind his big dark glasses, and Katie’s face was mostly hidden behind her big hair and shiny baseball cap. After the gig, though, they came out to the front of the house, and signed posters and shirts, and posed for selfies with fans. 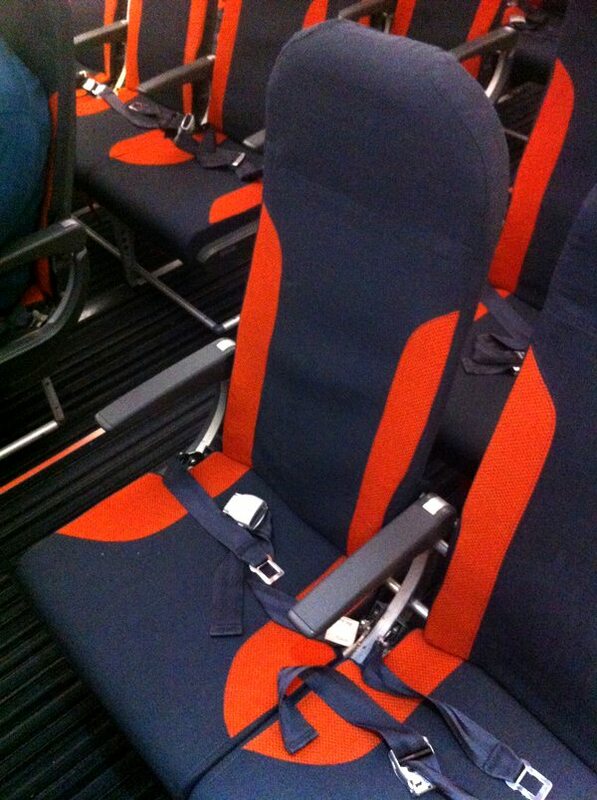 I was quite unexpectedly excited that my EasyJet flight yesterday evening was on an A320 sporting their new seats. 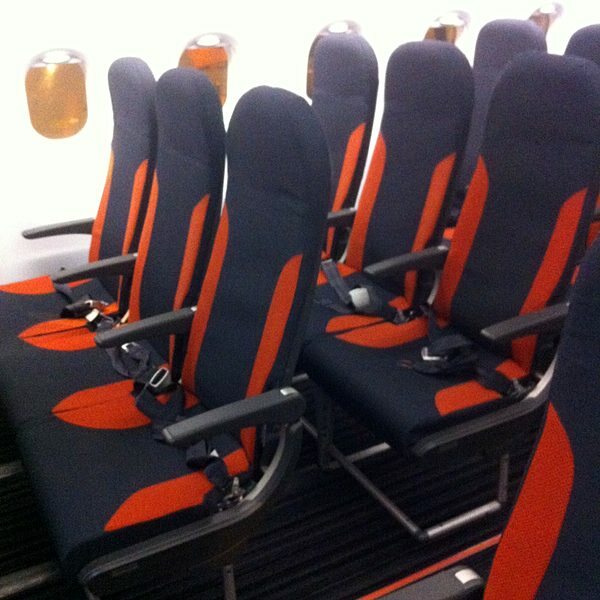 The new seats seem to be the same width as the old ones, but they’re thinner — less padded, and firmer than the old ones. I think the seat pitch (distance between one row and the next) is the same, but the thinner design gives substantially more legroom. I also found them more comfortable. 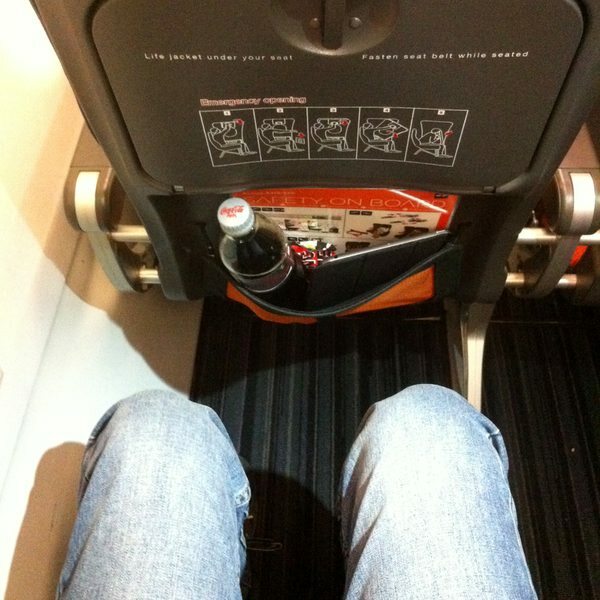 The seat back pouch is smaller, and the fold-down tray more compact. I think it’s a big improvement.